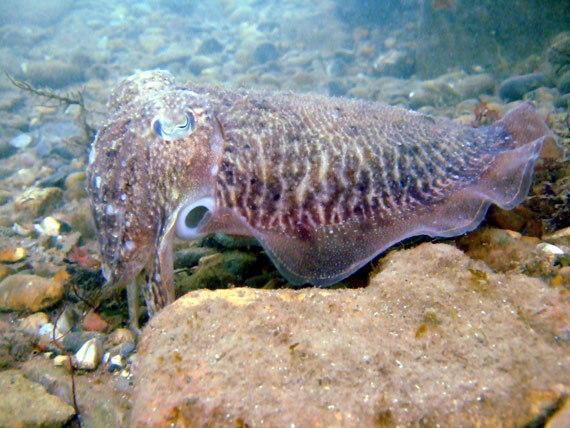 The cuttlefish is one of the more intelligent sea creatures you’re likely to come across. 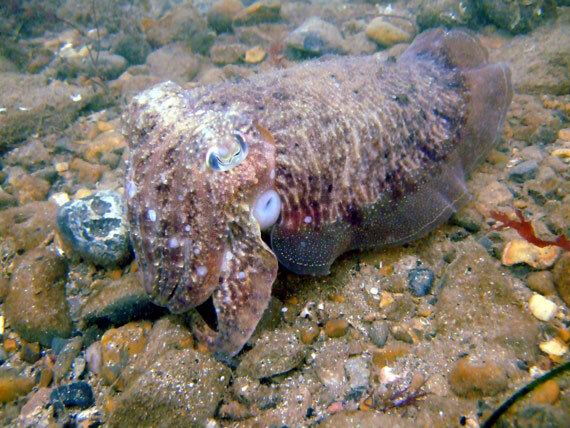 Like their distant cousins the squid and octopus, cuttlefish are of the Cephalopod family. 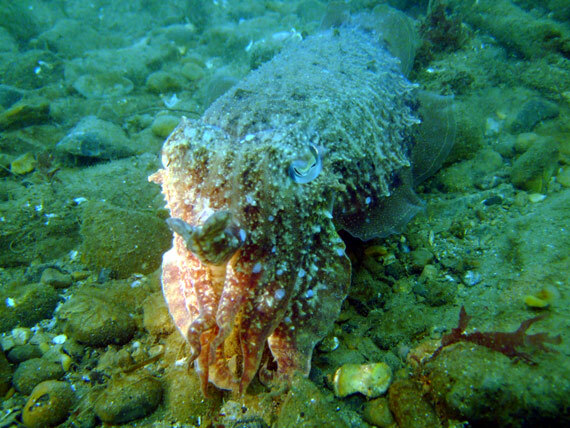 Visually they closely resemble a beefy squid, with eight arms and two tentacles protruding from the head beneath the eyes. An oval-shaped body also shares the familial ability to change colour when alarmed, for camouflage and to intimidate threats. 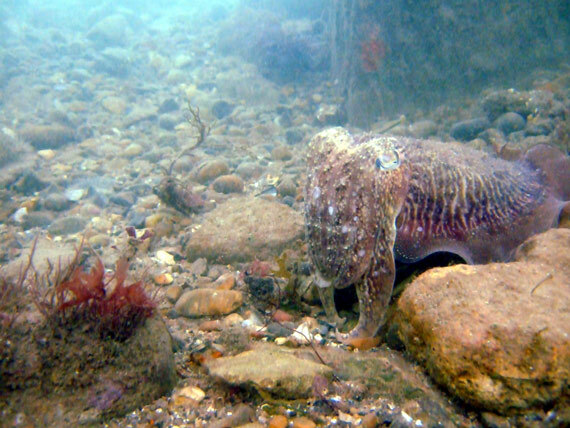 The cuttlefish swims through the water thanks to a rippling skirt around the mantle.In a sea characterised by fish-brained animals, the cuttlefish can be a treat to spot on a dive. Found singularly or in pairs or small groups, they are curious and inquisitive and seemingly unafraid of groups of air-breathing monkeys finning past. More flamboyant types are widespread in tropical and sub-tropical waters around the globe, but our black-brown striped or mottled variety of common cuttlefish is worth keeping an eye out for every time. Inquisitive and unafraid to approach divers.